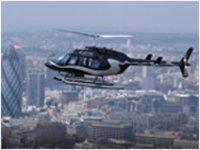 Product review: 1 Hour Helicopter Pilot Lesson – by Roy Ardern, 17 Jan 16 5/5 Excellent "My operators's website was not updated regularly so I couldn�t book online, but one call to a person worked well. We didn�t have to rearrange the date. It was Easy to find the venue and the facilities were excellent. The staff were friendly and knowledgeable, everything was brilliant. The briefing was a very good session, and my pre-flight homework paid off too - really heoped me make the best of the experience! The experience itself was awesome! I�ve not stopped talking about it! I�m a helicopter bore now! I got to take lots of pictures. I didn�t find the website brilliant, but staff definitely were, thank you. " My operators's website was not updated regularly so I couldn�t book online, but one call to a person worked well. We didn�t have to rearrange the date. It was Easy to find the venue and the facilities were excellent. The staff were friendly and knowledgeable, everything was brilliant. The briefing was a very good session, and my pre-flight homework paid off too - really heoped me make the best of the experience! The experience itself was awesome! I�ve not stopped talking about it! I�m a helicopter bore now! I got to take lots of pictures. I didn�t find the website brilliant, but staff definitely were, thank you.